Tourists going to Japan may have to say goodbye to one of Tokyo and Osaka’s eponymous tourist attractions: dressing up as Mario or Luigi while driving around in a go-kart. Kotaku reports that Nintendo has won its lawsuit against the MariCar (now known as MariMobility) for brand and intellectual property infringement. Aside from having to pay Nintendo some 10 million yen in damages (~ P 4.7 million), the Tokyo District Court ordered MariCar to stop lending out Nintendo-themed costumes. MariCar says service remains “as usual” and that they are “fully complied through local governing laws in Japan.” Their website has scrubbed all photos featuring Nintendo characters. Somehow, seeing Disney characters, DC super heroes, and The Minions doesn’t have the same effect. 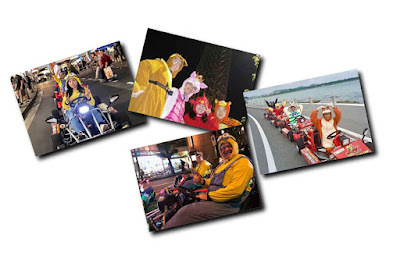 This isn’t the first time the real-life Mario Kart has been the subject of controversy. There have been numerous attempts to shut the tourist attraction down because of incidents involving tourists crashing their MariCar go-karts.